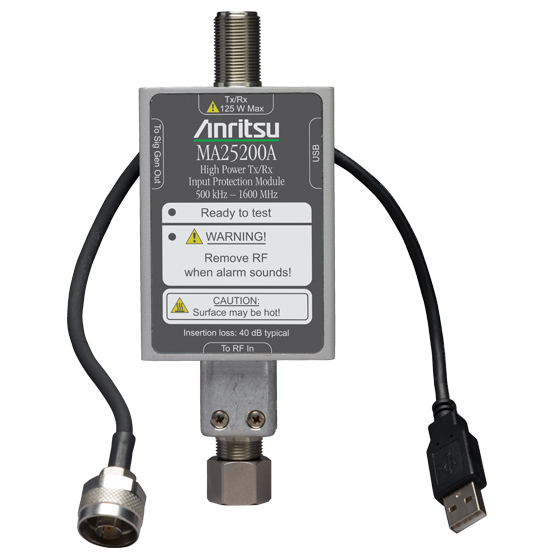 The MA25200A high power protection module safeguards the S412E ports from high power portable, mobile, or base station transmitters. It can accept 125 watt base station transmitters for up to one minute and 25 watt mobile transmitters for indefinite periods. It combines the signal generator port into the test port to support receiver sensitivity testing.